Train your abs at home with the Kettler training bench AXOS AB-Trainer. 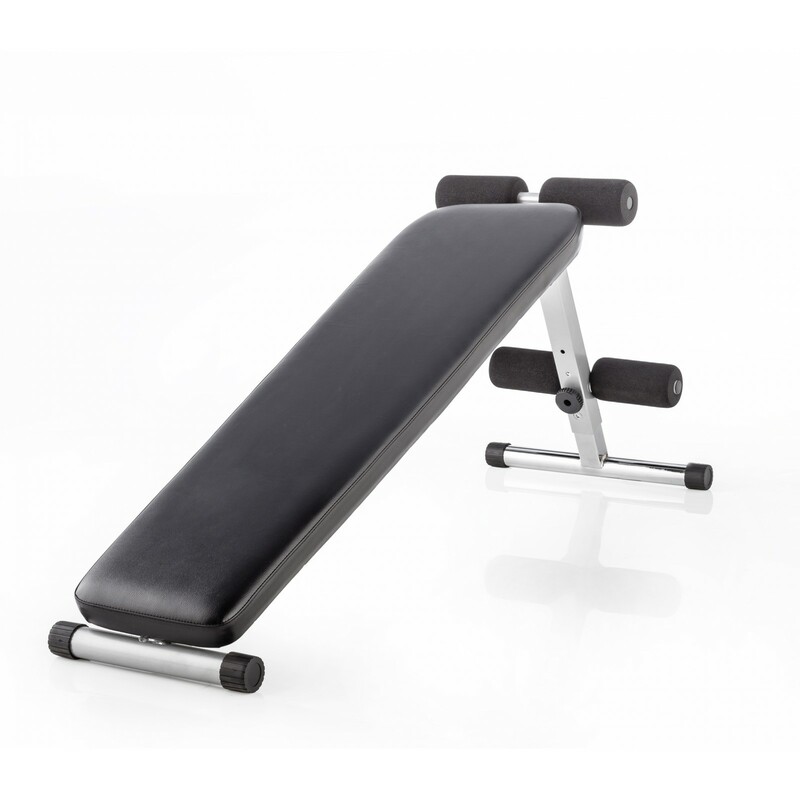 Use different adjusting possibilities of the angle and the backrest to adapt the AB trainer to your height and needs. Thanks to the big and soft layer, exercising is as comfortable as effective. Offering a maximum user weight of 130 kg, a sturdy construction is given. Extra large feet provide the required safety and stability. An additional protective mat reinforces it. Store the Kettler training bench AXOS AB-Trainer space-efficiently using the clever folding mechanism. Stabiles Gerät. Hält was es verspricht. Kommunikation und Lieferung sehr gut. Ist zwar kein Profigerät aber kann was es soll. Was will man mehr.